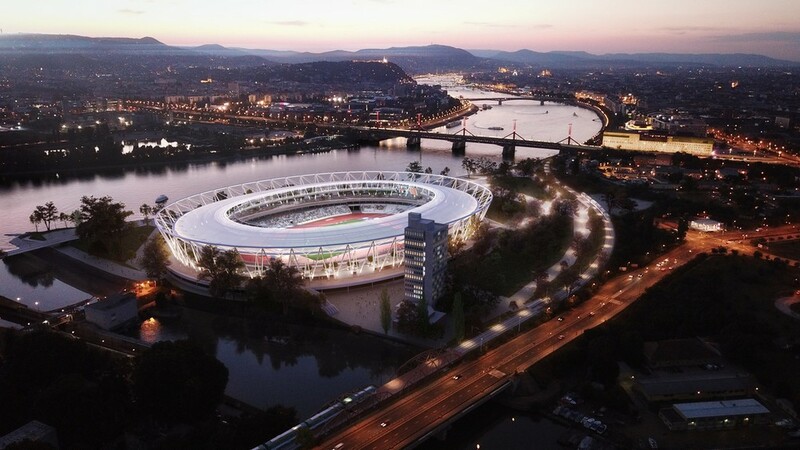 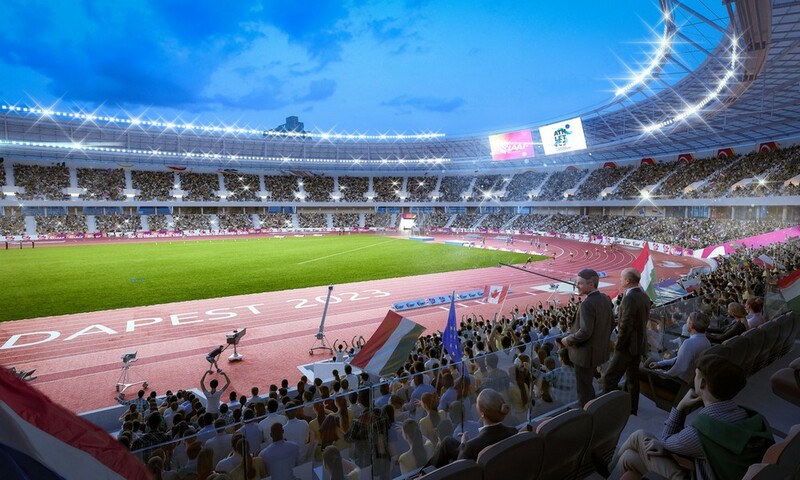 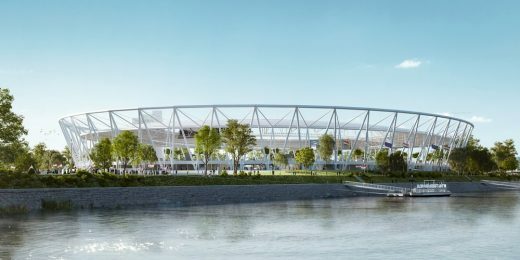 As part of the medium and long-term plans for the urban design of Budapest Southern City Gate Development, NAPUR Architect Ltd. have designed the Budapest Athletic Stadium and its complementary project elements – jointly called the Budapest Athletic Center – commissioned on behalf of KKBK. The design consists of three main areas to be regenerated. The first is the 15-hectare Athletic Stadium and park; the second is the 5-hectare Athletic Training Center; and the third area consists of the Hajóállomás street and its surroundings, which is a key area in terms of the project’s integration to the urban structure. 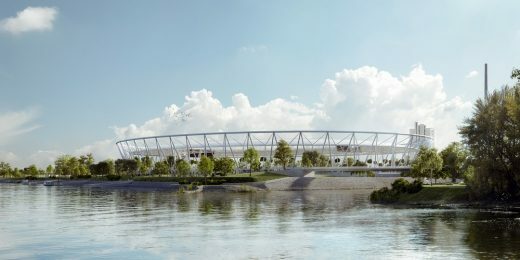 The main elements of the design masterplan are the new Athletic Stadium and park on the existing Vituki industrial site; a new pedestrian-cycling bridge designed to connect to the top of North-Csepel; and the new Athletic Training Center, which will be accessible through the bridge. 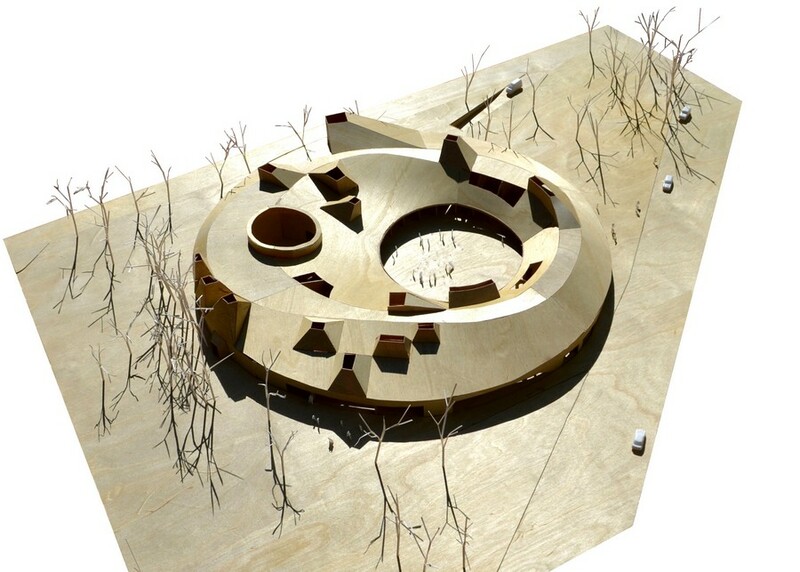 The three project elements aim to contribute to the development of the region with a joint urban architecture vision. 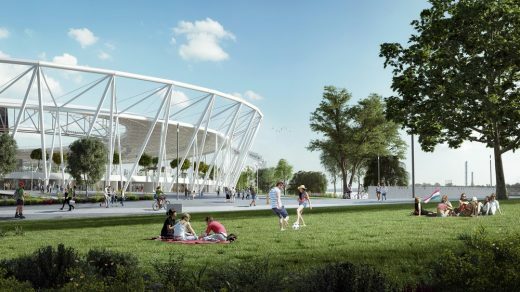 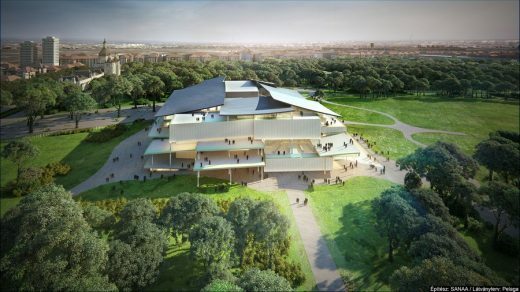 Delivering an expanded array of facilities and platforms, within the framework of the project the rehabilitation of the Vituki industrial site and the Danube area is going to be realized – as well as a new open sport and recreational park that will be created for the capital with the building of the Athletic Stadium designed to fit into the center of the park. Besides providing a new home for future potential international competitions, on weekdays, the elevated reception level of the temporary upper tiers of the Athletic Stadium will include covered and illuminated running tracks, roller-skating rinks, street workout facilities, training areas, and street food services for sports enthusiasts. 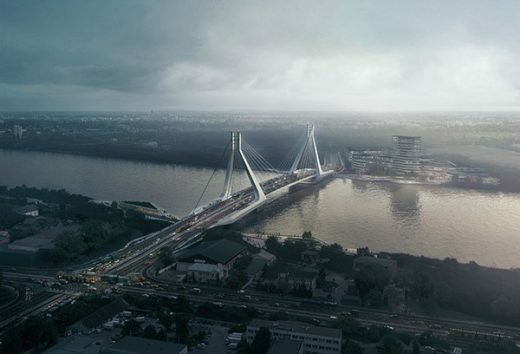 By changing the previous urban planning proposals that would have affected the current design area, the spectacular view from the Danube – which greatly defines the cityscape – stays uninterrupted. 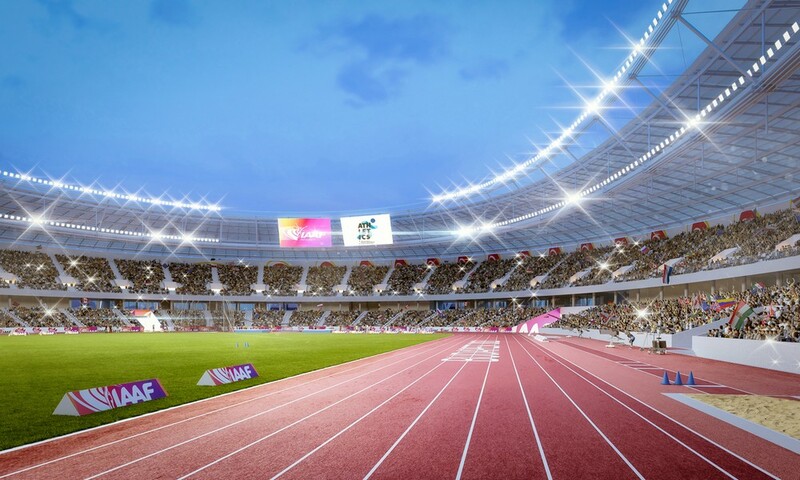 The former industrial functions and the previously planned design of high-rise residential complexes and office buildings are going to be replaced with low built structures with sports, and recreational functions. The goal is to integrate the development into the striking natural environment to honor the outstanding natural values of the area, to reconnect the city to its environmental links with the river, and to create an alluring and engaging part of the city along the Danube. 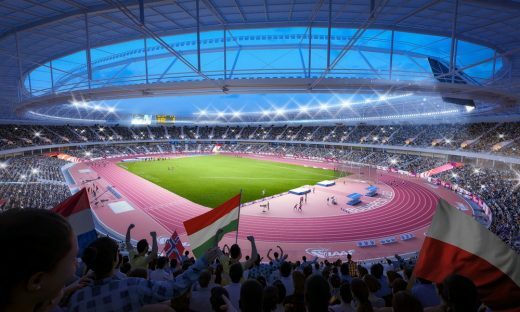 The building of the new Athletic Stadium and the Athletic Training Center – which features an open running and throwing track in North Csepel – are designed according to the functional requirements and event organization recommendations of the Hungarian Association of Athletics (MASZ) and the International Association of Athletics Federations (IAAF). The design of the new Athletic Stadium proposes a flexible and multipurpose facility developed with consideration given to potential audience sizes during international competitions. The legacy mode of the building is designed with a lower tier accommodating 15,000 people and the temporary top stands can be put into operation with an additional 25,000 seats in championship mode. 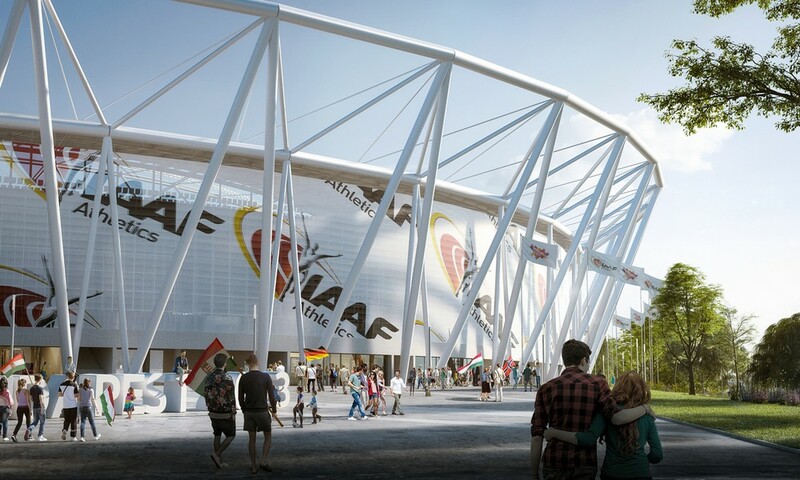 The roof structure of the stadium is maintained in both legacy and championship mode. 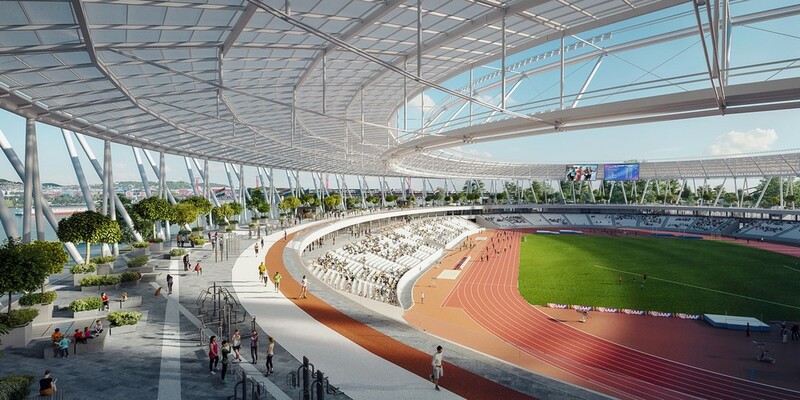 By retaining the roof structure, the building is able to accommodate periodically recurring major international tournaments with a possibility of expanding the structure with a rentable stand, while also maintaining the entire space and sports lighting, loudspeaker, and score display system. The steel structure of the façade of the stadium and its unique stretched cable structure will be developed under the guidance of engineering firm Exon 2000 with the additional consultancy of the British engineering company, BuroHappold. The simultaneously open and closed structure of the building is displayed as an urban pergola and the open Sports Ring below it acts as an urban public space on the banks of the Danube River. The Athletic Stadium, which is planned to open in 2023, will stand as a destination; planned to create a welcoming and comfortable environment for the city-dwellers. 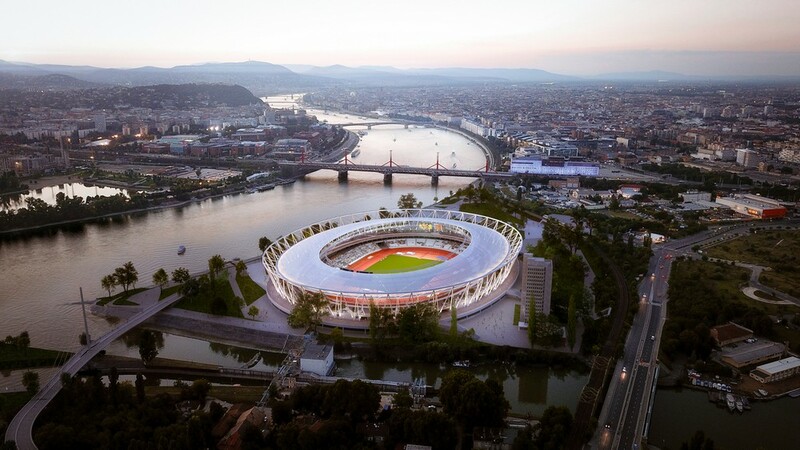 With the Duna Arena – designed also by NAPUR Architect Ltd. – placed on the northern part of the banks of the Danube and the new building of the Athletic Stadium in the south, two ‘sports culture start points’ are created, enveloping the center of Budapest from two parts of the capital.